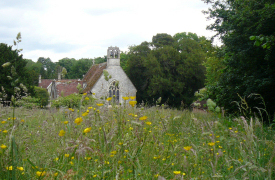 Penton Mewsey and the community known as 'The Pentons’ including Penton Grafton is a beautiful rural parish in North West Hampshire areas of which are contained within the official conservation area. 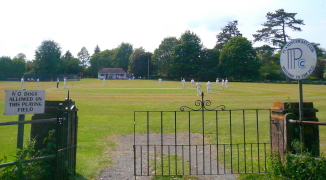 The open spaces in the village around the church, churchyard, recreation field, public house and village pond are all complemented by the many trees which are a main feature of the village. Brick and flint walls, cob walls and a comfortable mix of architectural styles spanning the centuries are evident in the variety of house and cottage styles giving it the unique character of an old established self contained settlement. In addition we have many lovely walks along designated footpaths. This site is useful for both residents and visitors and contains information that is relevant to both. 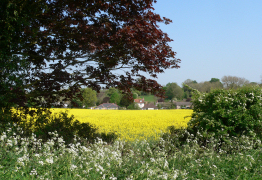 If you live in Penton or are just visiting there are all kinds of ways you can get involved in the life of our thriving community, from sports and the arts to joining one of our local organisations and playing a part in the future of the village. Penton Mewsey has something for everyone as we hope you will discover when you browse through our website. 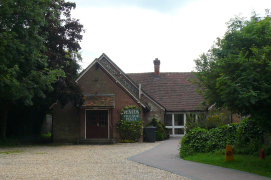 Check out our ‘News and Events’ page for events in and around Penton coming up soon. PENTON (the farm at a penny rent) with probably Saxon origins comprised the twin parishes of Penton Grafton and Penton Mewsey. The Mewsey and Grafton are post Conquest additions deriving from Maisy and Grestain in Normandy. Top Border The arms of the Stonor family who held the manor from 1346. The Sanctus Bell inscribed ‘Sic nomen Domini benedictum Ao Xi 1555. It was discovered in a niche in the wall of the rectory during repairs in 1845, probably having been hidden there during the religious upheavals; a wooden spade typical of those made at Penton for sale at the nearby Weyhill Fair; the arms of Phillipa Roet who married Geoffrey Chaucer the poet (1340-1400). Their granddaughter inherited land locally. 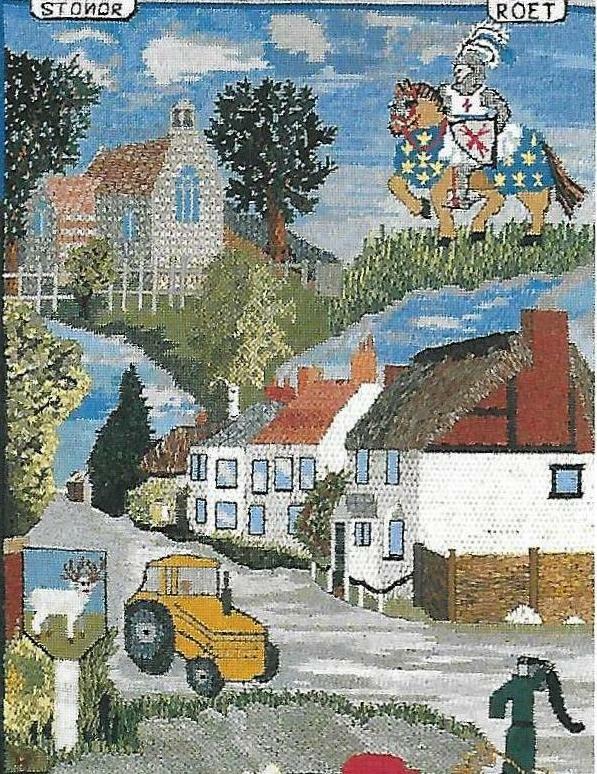 The Middle Section In the top left corner is the Holy Trinity Church probably built in the mid 14th Century by the Stonor family to replace an earlier church mentioned in the Domesday Survey which possibly fell into decay during the Black Death. The surrounding trees are symbolic of many fine local specimens. The knight on the splendidly caparisoned steed represents Sir Robert de Maisy, a descendant of the Robert who accompanied Duke William to Hastings is 1066. Sir Robert held the manor from 1233 to 1295 for his liege lord the Earl of Gloucester. The Centre Section represents the main section of the village street which ends in a cul-de-sac giving a welcome measure of peace and quiet. Outside one of the houses in a tractor, symbolic of the villages continuing agricultural heritage. 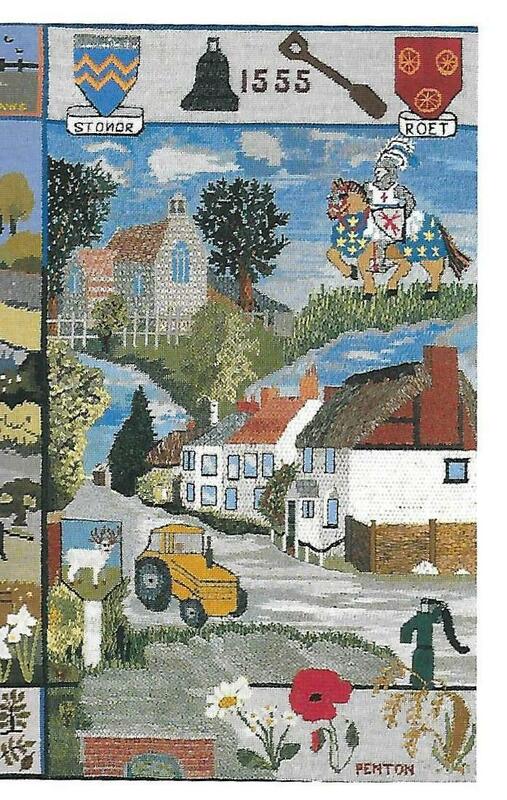 On its left is the sign of the village public house the White Hart. The first mention of an ‘alehouse’ in Penton occurs in the Court Roll of 1431. In the right hand corner is a cast iron hand pump, typical of several that survive in gardens in the village. Between it and the inn sign in the prominent village pond. Lower Border. On the left is the small bridge spanning the stream which usually rises from springs beneath the pond ad joins the Pillhill brook at Charlton. On its right are wild flowers and ears of corn.